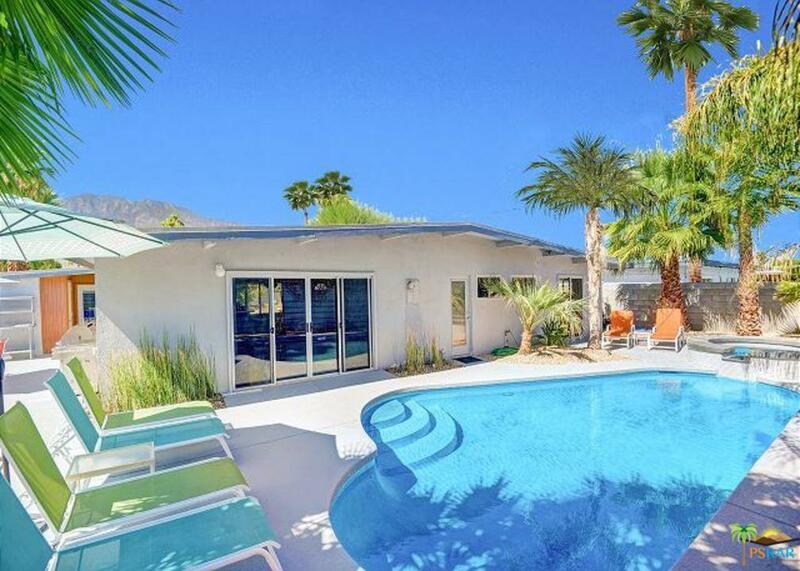 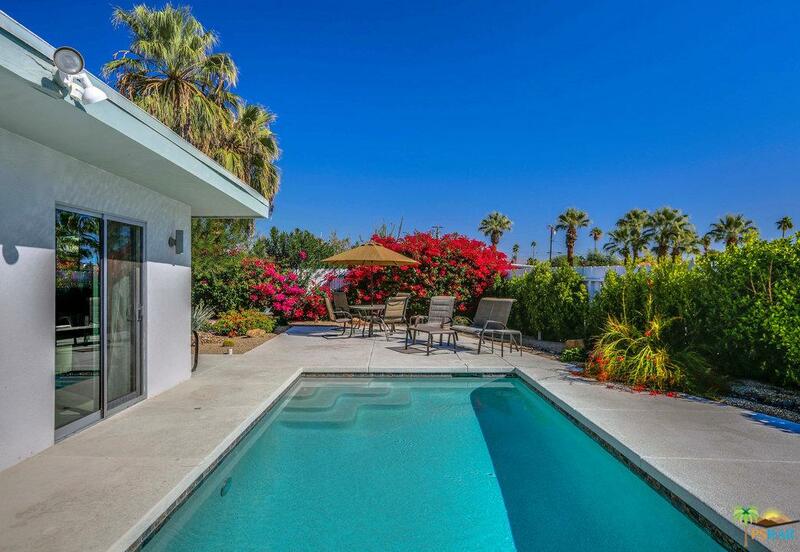 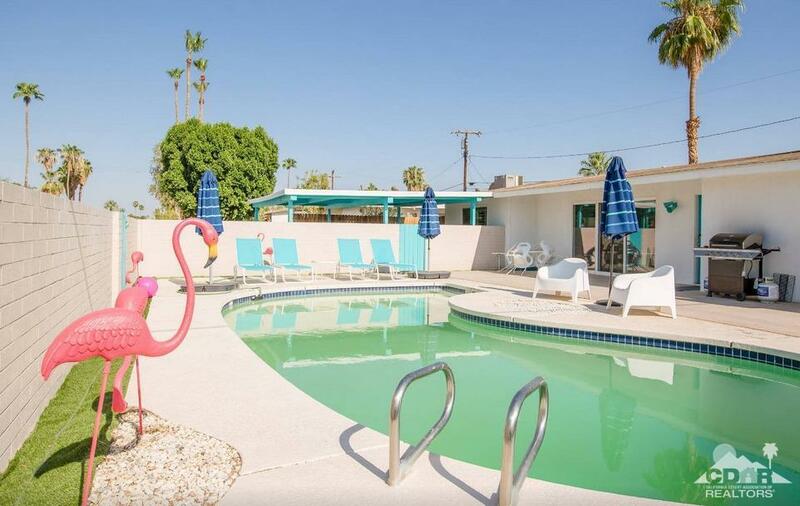 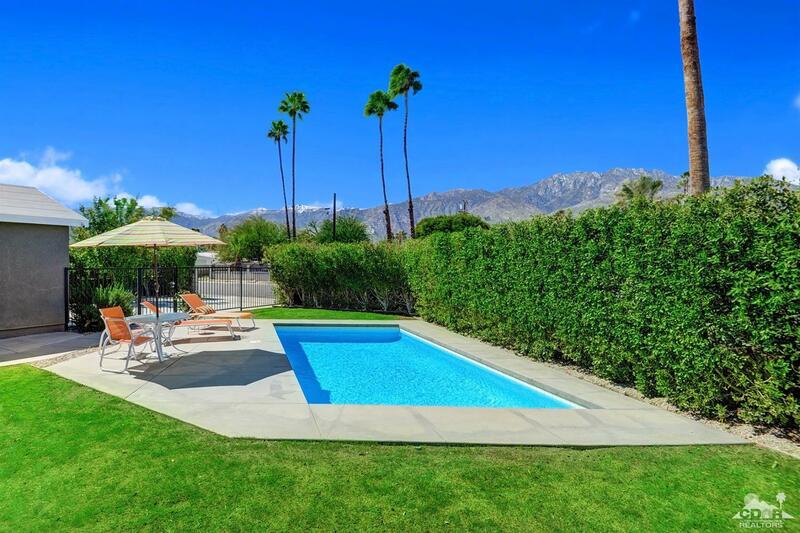 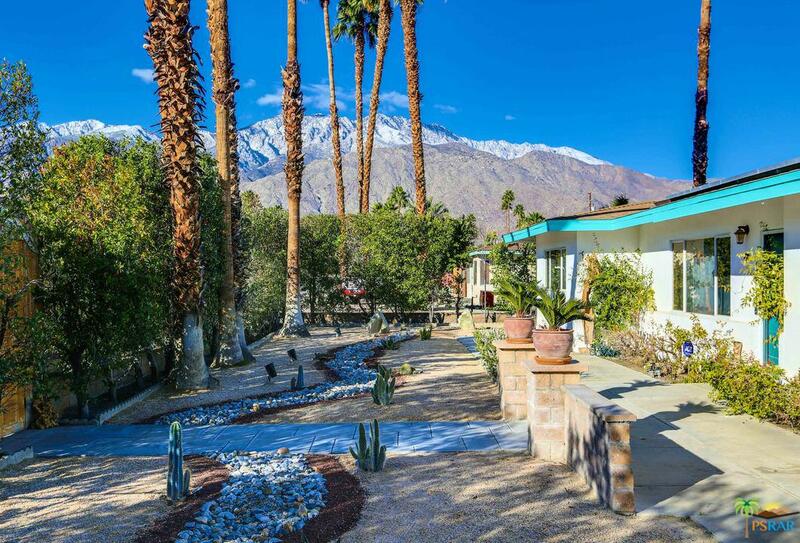 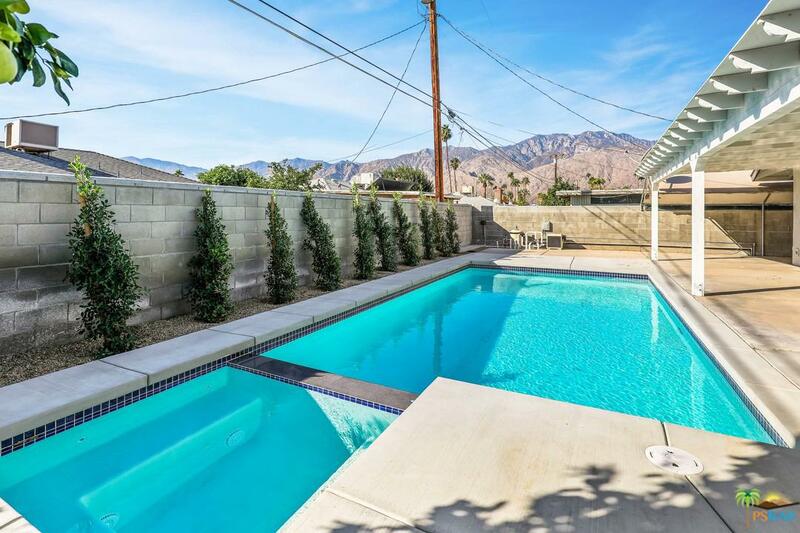 Through the front gate you'll find your own private Mid-Century compound with a front yard full of potential and an unobstructed view of the San Jacinto Mountains that frame Palm Springs. 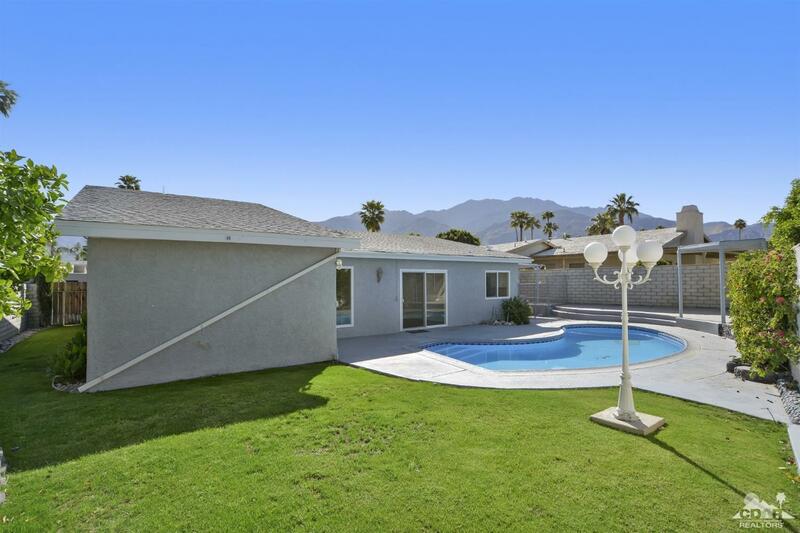 This private desert oasis with its fully enclosed yard, where you'll find this updated 3 bedroom 2 bath home, features vaulted and beamed ceilings. 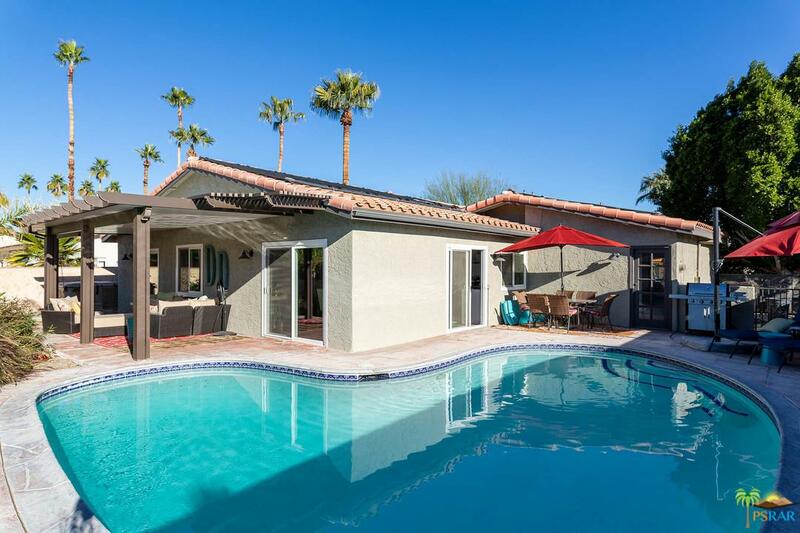 The renovated kitchen opens up to the dining area and an open entertaining and living floor plan with direct access and views of the sparkling pool and in ground spa. 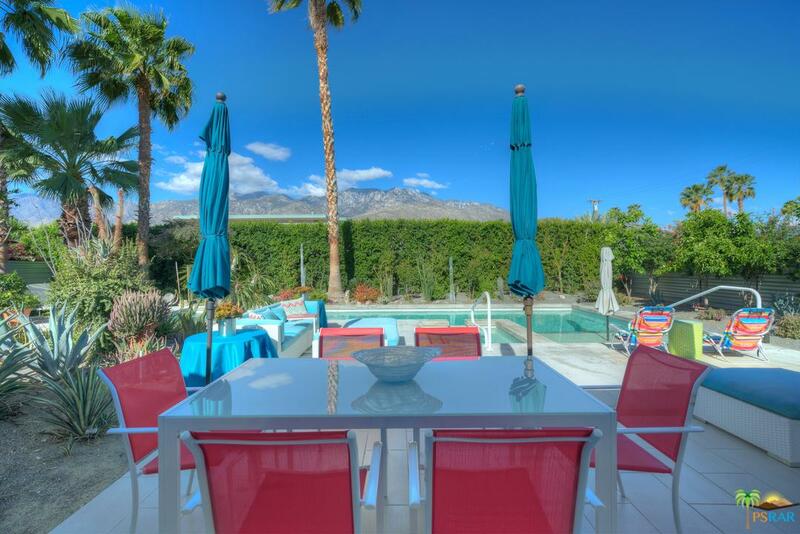 Enjoy mountain views from the back yard as well while lounging poolside, and listening to the gentle sounds of the koi pond fountain. 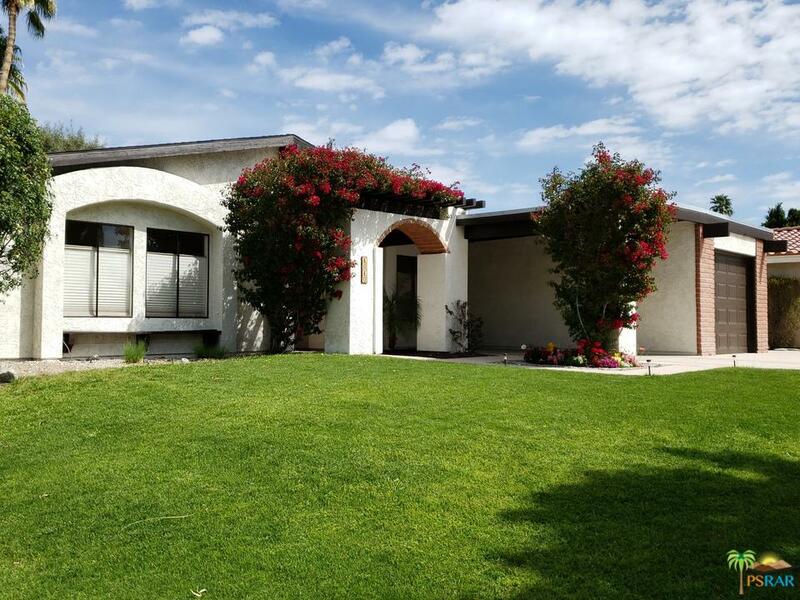 Along the pathway to the side yard you'll encounter the outdoor shower, storage and the Casita! 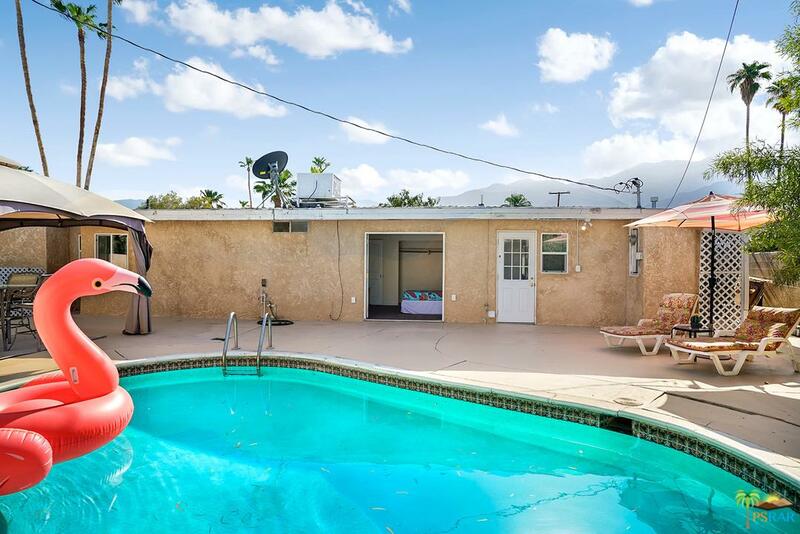 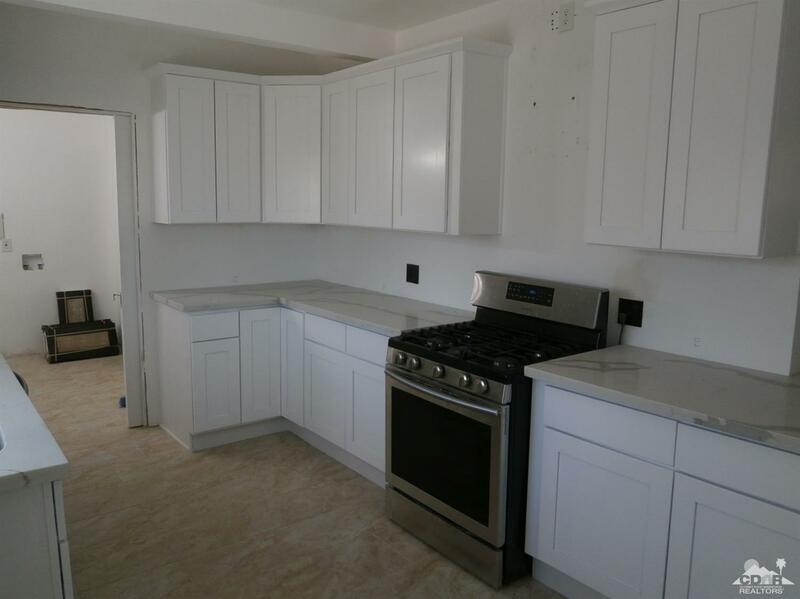 A bonus feature for flexible rental potential, the guest house/casitas with stainless steel kitchenette, laundry and a 3rd full bath may be the icing on the cake! 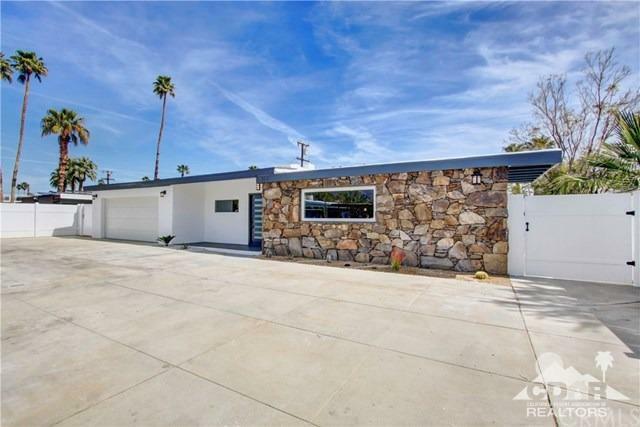 There's parking for up to 4 cars off of the street as well. 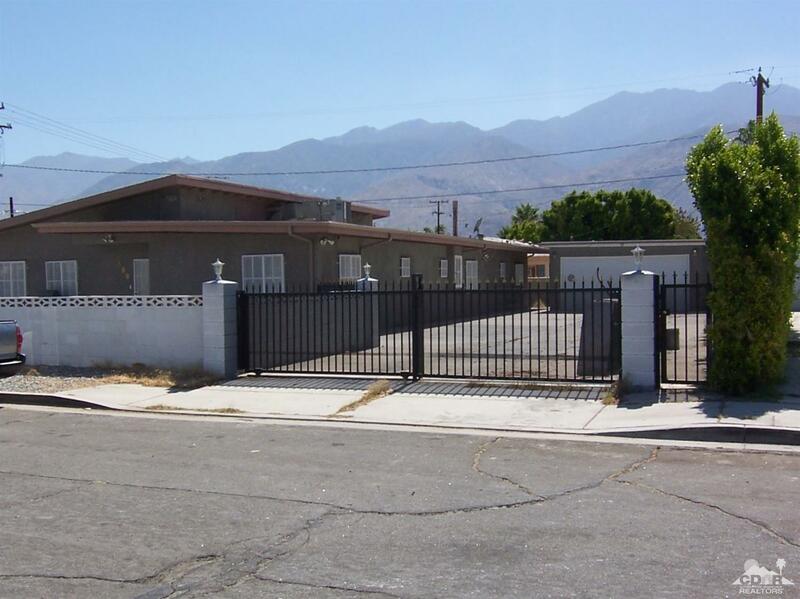 Buyer to verify sq footage and permits.